Who would want a guillotine? I mean not a toy guillotine, but a real one? And one which is in perfect working order. On Thursday, March 27 (this year – 2014), one will be sold by auction in the town of Nantes, 383 kilometres (237 miles) southwest of Paris and home to almost a million people. On Wednesday, the auction just hours away, as night began to fall over this Loire valley town, the Atlantic ocean just 50 kilometres (31 miles) away, no buyers had yet manifested an interest in buying Louisette, as the guillotine used to be called after Antoine Louis, the Paris surgeon, who had designed a prototype of the guillotine. Later to be named guillotine after another French medical man, Joseph Ignace Guillotin, who as a member of France’s National Assembly (parliament) proposed that capital punishment should be carried out through decapitation with the Louisette. Louisette is rather a tall lady. 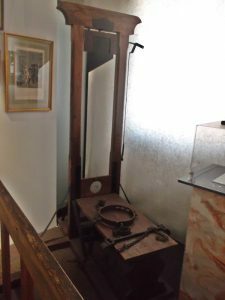 According to the auction house, the guillotine to be auctioned as Lot 201 in an auction of 406 lots which include paintings and porcelain, was used by the army during France’s Second Empire (1852/1870) under Napoléon 3 (1808/1873). 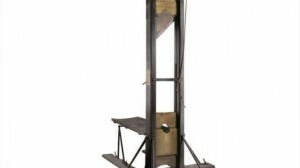 Whoever will buy this guillotine will not be able to take it from France because, classified as an historical object, an export licence is required for it, and this the French State would not issue. You can see a guillotine in only one place in Paris. This is in the Police Museum – Le Musee de la Prefecture de Police – at No. 4 rue de la Montagne Sainte-Genevieve, in Paris’s 5th arrondissement (district). You can see the blade of a guillotine in that museum too – and what is more it is the blade from a guillotine which was used during the French Revolution. 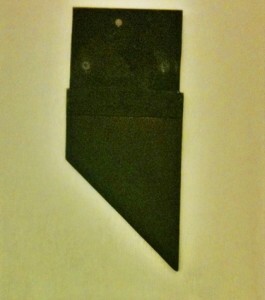 You can also see a guillotine blade in the Conciergerie Museum. You can also see a guillotine in a jazz club in Paris’ Latin Quarter. It is not one from the French Revolution though. 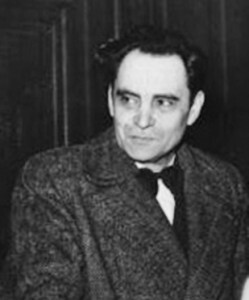 In my true-crime DIE IN PARIS, the story of France’s most prolific serial killer – Dr Marcel Petiot – guillotined on Saturday, May 25, 1946, I write about his execution. 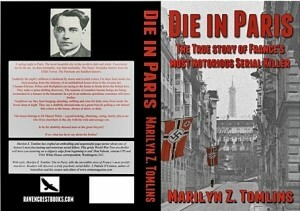 You can read a little of what I write about the guillotine in DIE IN PARIS here below. Offered a glass of rum, another of France’s guillotine traditions, Marcel turned it down. He would die without ever having drunk alcohol. Instead, he asked if he could smoke a cigarette. Floriot quickly offered him one of his own. Marcel inhaled deeply and blew rings into the stale air. Without wasting any more time, the group started walking down the corridor of Block 7 — Death Row. Other inmates kicked and banged violently on the doors of their cells. and stumbled several times; to steady his gait, he lifted his handcuffed hands over his chest. kiss. He seemed familiar with the routine. The room was in semi-darkness; whenever there was an execution in the courtyard the blind in front of the window was to be pulled down because sometime somewhere someone had decided it would be too cruel for the condemned to see the instrument of death. His shirt cut, and his neck smoothly shaved, Marcel asked for another cigarette. Again, Floriot gave him one of his. While Marcel smoked, some of the witnesses stepped outside to wait in the courtyard. They were silent. And they tried not to look at the guillotine. The cigarette, smoked, Marcel’s handcuffs were removed. Those had been on very tightly and they had left red marks across his wrists. He was still shaking his arms to return their blood circulation when he was asked to take off his jacket and to put his hands behind his back. He shot a glance at the handcuffs lying on a table as if implying they weren’t needed anymore; would not be needed in future— not for him. He must surely have read in the books found at the townhouse, but must have forgotten, that the condemned did not go to the guillotine handcuffed; their hands were tied with ordinary domestic cord. So were his. They were tied behind his back. 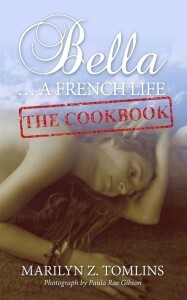 You can buy the book here. 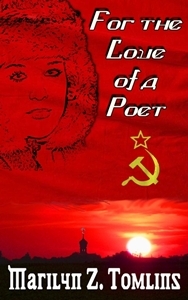 It has been published as an e-book and paperback. No, sorry, the auction was in 2014.
is the item for still for sale ? Yes, one would need to have a weird and perhaps not altogether healthy mindset to want to own such a thing! 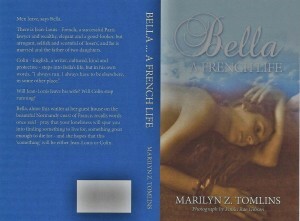 Excellent article though, Marilyn, and intriguing snippet of your book.